A stay at The Marks Hotels guarantees relaxation, professionalism and personalized services. The great variety of rooms that this hotel offers include elegant guest rooms, triple rooms, family rooms, duplex suites and marvelous city view rooms. As a result, this hotel can provide anything you wish for, from the perfect place to have a business meeting, to an excellent location for relaxation and a great place for leisure. Book a room here and you will find more than just a hotel room; you will find luxury, class and style! 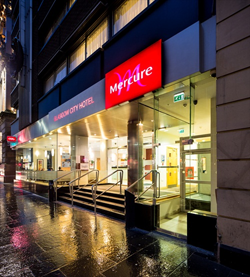 Mercure Glasgow City hotel is a three star hotel with excellent accommodation conditions. Situated close to the city center, this hotel offers a unique view, but also the opportunity to visit some of the best Glasgow's cultural attractions. Each of the 91 guest rooms impresses its visitors through its tidiness and good taste. The internet access, the satellite TV or the non-stop room service makes you think this is the perfect place to stay in Glasgow. Therefore, if you fancy a stylish hotel, close to famous museums, art galleries, authentic bars and pubs then you should probably book a room here! 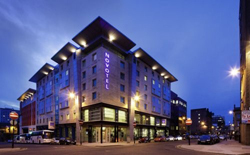 The Premier Inn Glasgow Hotel is the biggest and the fastest growing hotel company in the UK; consequently, if you want to enjoy a relaxing stay in Glasgow you should certainly book a room here. This three star hotel provides professional services at affordable prices, and most of all puts its clients first. 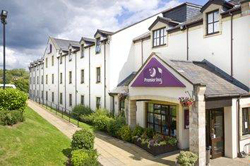 The comfortable beds, the aired conditioning rooms, the friendly staff, or the integrated restaurant, are definitely some of the strongest points of the Premier Inn Glasgow Hotel. Come here and you will not regret it! If you are looking for a family hotel, with excellent customer service and good food you have just found the perfect place for you. 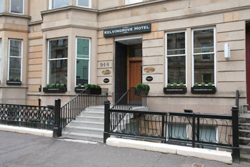 The Kelvingrove Hotel is a three star hotel located in the city's cosmopolitan West End. 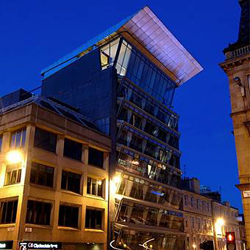 Its proximity to some of the major city's attractions, which include the Science Centre, the Botanic Gardens or the SECC, makes this hotel to be one of the most wanted hotels in Glasgow. Furthermore, this hotel provides free WI-fi, power showers, good sized and tidy rooms. You should try it! Do you want to be impressed? Do you want to be close to the city nightlife? Do you want tidy rooms and convenient location for shopping and restaurants? 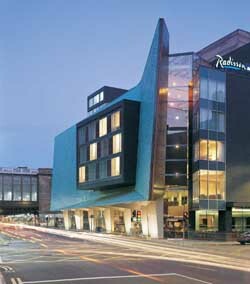 Then, you should take a glance at the Hotel Novotel Glasgow Centre. Situated in the very heart of Glasgow city center, this hotel is within 1, 5 km away from the train station and 10 km away from the Glasgow International Airport. Moreover, the 139 guest rooms, the international cuisine and the six modern meeting rooms, can satisfy any meticulous tastes. The location of this hotel, together with its picturesque views and the reasonable prices recommend this hotel as one of the best in town. 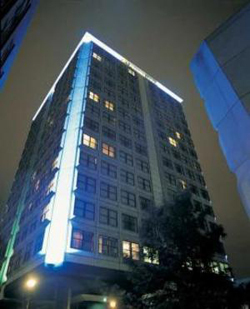 Moreover, the remarkable transport links and its closeness to various tourist attractions make it an ideal location for those who seek entertainment, a vibrant nightlife or on the contrary, a good place to sleep; therefore, when looking for a hotel in Glasgow you should take into consideration one of Premier Inn's hotels. 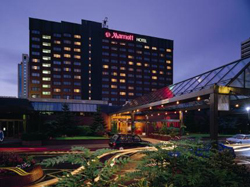 The Glasgow Marriott Hotel, situated in the heart of the Glasgow city center, near the Hampden Park and the Scottish exhibition and Conference Center (SECC), is a luxurious four-star hotel. Perfect for leisure and business meetings, this hotel stands out through its classy services, which include swimming pool and sauna access, a fitness center and spa treatments. The high-speed Internet access, the smoke-free options and its exquisite international cuisine configure an enjoyable stay in Glasgow. This five star hotel is one of the most outstanding hotels in Glasgow, and it is easy to see why. Its luxurious rooms, the friendly staff and its proximity to attractions such as the Princes Square or the SECC will certainly make you never regret staying here. The comfortable beds, the stylish rooms and the reasonable prices complete the picture of a polished and welcoming hotel. The breathtaking views and the hotel's distinctive architecture can make anyone fall in love with this place.